There are occasions when a little extra solar power would be helpful to charge the battery bank. For example, that second or third heavily overcast day when the battery bank is getting low or that sunny day after several cloudy days when you want to feed the batteries all the power they will take. 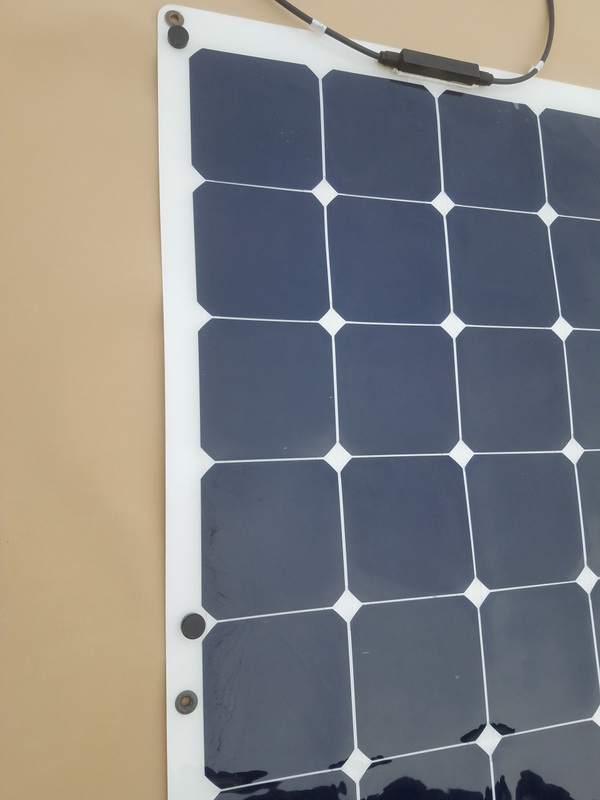 Custom Marine Products has developed a lightweight auxiliary flexible solar panel kit specifically for adding solar power only when it is needed. It is easy to install. 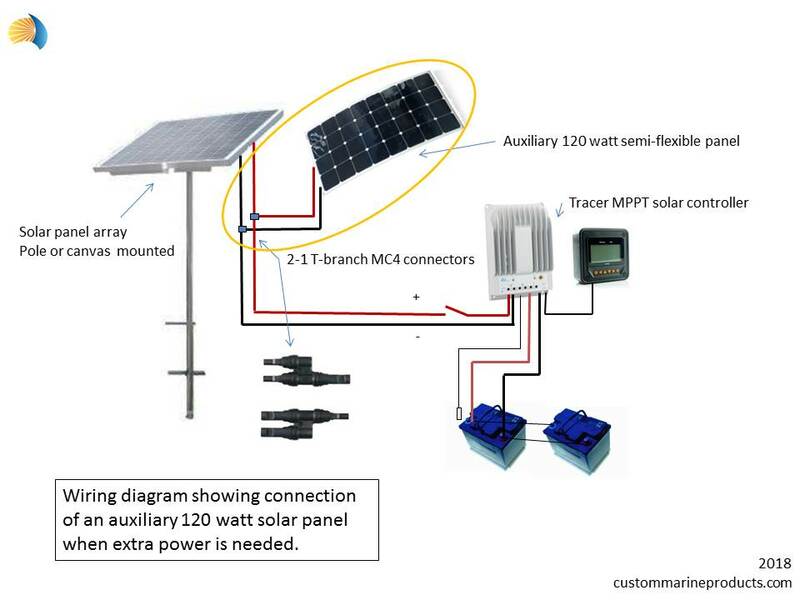 Simply plug into the existing solar system with the included 2-1 MC4 T-branch connector and attach the solar panel to your canvas bimini or dodger with the included high power rare earth magnets. When the extra power is no longer needed, simply remove the magnets and the panel and store the flexible solar panel under a bunk. Caution: Be sure your controller has the capacity to handle the additional power from the auxiliary panel. ​The kit includes our high output 120 watt flexible panel that measures 21 x 47 inches and produces over 6 amps. The panel comes with 3 foot pigtails with MC4 connectors mounted on the ends. The kit also includes 12 high power magnets; 6 on top of the panel and 6 underneath the canvas. The included 2-1 MC4 T-branch connector is used to tap into your existing solar system. 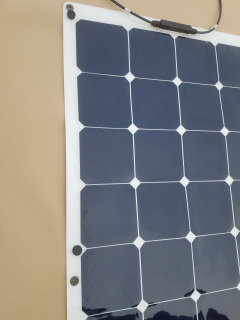 Note: Any of our flexible marine solar panels can be substituted in the kit. Contact us for details.